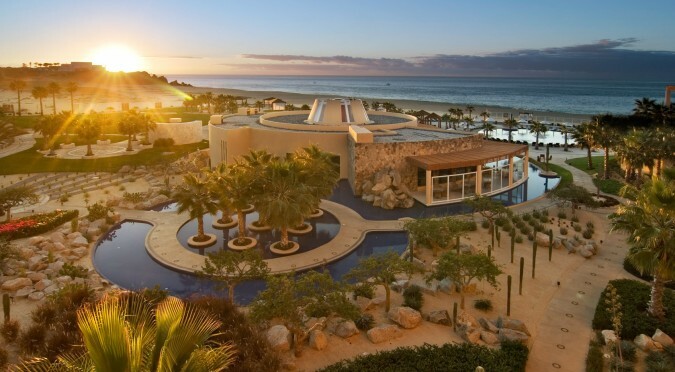 LOS CABOS, Mexico (May 24, 2016) – The Brandman Agency is pleased to announce Pueblo Bonito Pacifica Golf & Spa Resort as the newest addition to its worldwide luxury travel and lifestyle portfolio. Pueblo Bonito Pacifica is located on a secluded 2.5-mile stretch of pristine beaches, and is just a 10-minute drive away from downtown Cabo San Lucas, Mexico. Since its opening in 2005, the award-winning, adults-only resort and spa has welcomed guests in search of the ultimate luxury escape with a tranquil and romantic beach setting. The 154-room boutique retreat offers world-class, full-service amenities and facilities, including four acclaimed restaurants, four bars, an award-winning wellness-inspired spa, breathtaking ocean view accommodations with sleek and minimalist décor, 5,800 square feet of meetings and event space, two swimming pools, and a private beach. Ideal for destination weddings, the resort offers professional wedding planning services and several wedding packages. As a luxury all-inclusive Cabo San Lucas resort, Pueblo Bonito Pacifica also provides guests with premium services such as daily wellness activities (beach yoga, dance lessons and pilates), connoisseur-led wine and tequila tastings, and even Spanish-language classes. At Pueblo Bonito Pacifica, guests can expect a variety of restaurant choices such as Siempre (“always” in Spanish) that blends Mediterranean and Mexican cuisine; Pescados (“fish”), a casual yet elegant sushi dining experience; and Horizons a nightly rotating epicurean adventure offering themed dinners staged right on the sand, lit by exotic torches, facing the spectacular waves of the mighty Pacific Ocean. The themes change nightly and range from Mexican, Latin Grill, Italian and Asian. Furthermore, guests of Pueblo Bonito Pacifica can enjoy dining at Pueblo Bonito’s three sister resorts in Cabo San Lucas, totaling 27 restaurants and 16 bars to choose from, accessible via a complimentary shuttle service. The restaurants at the sister resorts are just as varied and mouth-watering as those at Pueblo Bonito Pacifica, from Pueblo Bonito Sunset’s La Frida, which celebrates the life and work of Mexican Artist Frida Kahlo and serves authentic gourmet Mexican cuisine, to Fellini's Ristorante at Pueblo Bonito Rosé that offers a delicious menu of homemade pastas, creamy risottos, fresh seafood, and high-quality meats. Guests can continue exploring bliss at Armonia (“harmony”) Spa. Named among the three “Best Spas in Mexico & Central America 2013” by Condé Nast Traveler magazine, Armonia is a full-service spa offering a comprehensive menu of wellness-oriented body treatments, massage therapies, a fitness center, beauty salon, wet areas and the spa’s signature Royal Mexican Lime Deep Body Scrub. The resort also gives golf aficionados access to the internationally acclaimed Quivira Golf Club that boasts a world-class layout, designed by the legendary Jack Nicklaus, with incredible backdrops of stunning panoramic Pacific Ocean views, golden rolling dunes and awe-inspiring granite cliffs from tee to fairway. The course has four comfort stations including the "Oasis” located near the eighth green which showcases the culinary talents of the resort's chefs, with regional cuisine and refreshments as well as a stunning thatched-roof clubhouse that houses a fine-dining steakhouse. In a destination revered for its unique ocean-desert-mountain setting, Quivira offers more oceanfront exposure than any other course in Los Cabos. Coming this winter, Pueblo Bonito Pacifica will welcome The Towers at Pacifica, a lavish expansion introducing new upscale accommodations, enhanced amenities and first-class personalized services. The Towers at Pacifica are comprised of three new structures; two of the buildings feature 47 Club Level suites and rooms, including a magnificent Presidential Suite as well as six suites with private pools. The Towers at Pacifica guests are to enjoy 24-hour British Butler Institute-certified service; all of the suites have a dedicated butler per suite, and the rooms have one butler per every three rooms. A third building showcases a new Baja Med restaurant serving eclectic Mexican-Mediterranean fusion cuisine on the first floor, an oceanfront state-of-the-art gym on the second floor, and a The Towers at Pacifica guest VIP lounge on the third floor, which can be accessed through a sky bridge. Nestled on a secluded 2.5-mile stretch of pristine beach in Cabo San Lucas, Pueblo Bonito Pacifica Golf & Spa Resort is a luxury all-inclusive resort catering exclusively to adults seeking a tranquil oceanfront hideaway. A modern yet elegant approach to design and architecture presents an ideal setting for a memorable vacation of relaxation and self-renewal. An award-winning resort and spa destination, the 154-room boutique retreat features four restaurants, four bars, the Armonia wellness-inspired spa, 5,800 square feet of meeting and event space and access to a private beach as well as wine and tequila tastings. Coming winter 2016, Pueblo Bonito Pacifica will unveil The Towers at Pacifica, three new ultra-luxury buildings that feature enhanced amenities and first-class personalized service, including 24-hour British Butler Institute-certified butler service to attend to any and all guest needs. The Towers at Pacifica will also include an exclusive VIP lounge offering specialty cocktails, state-of-the-art gym and a new Baja Med restaurant boasting Mexican-Mediterranean fusion cuisine – all with dramatic oceanfront views. Founded in 2001 by Melanie Brandman, The Brandman Agency represents some of the world’s most prestigious luxury travel and lifestyle brands including FRHI, the Los Angeles Tourism & Convention Board, and the Barbados Tourism Authority. Visit The Brandman Agency at www.thebrandmanagency.com.